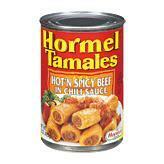 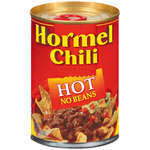 Hormel Chili No Beans 15 oz. 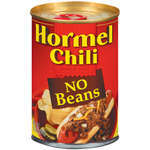 Wolf Chili No Beans 15 oz. 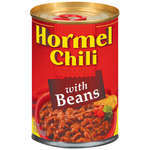 Hormel Chili With Beans 15 oz. 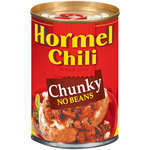 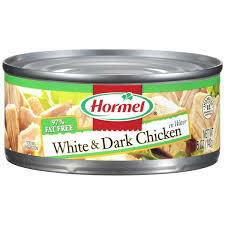 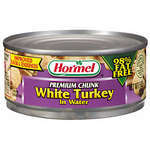 Hormel Turkey Chili No Beans 15 oz. 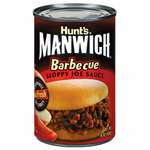 Manwich Original Sloppy Joe Sauce 15 oz. 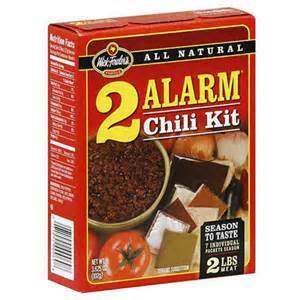 Manwich Original Sloppy Joe Sauce 26.5 oz. 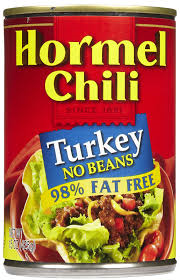 Manwich Bold Sloppy Joe Sauce 15.5 oz. 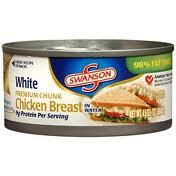 Swanson White Chunk Chicken Breast 9.75 oz. 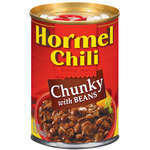 Dinty Moore Beef Stew 15 oz. 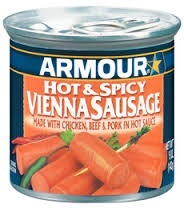 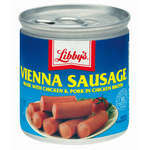 Libby's Vienna Sausage 48 ct.